One of your resolutions for 2011 should probably be "play more Rock Band 3." 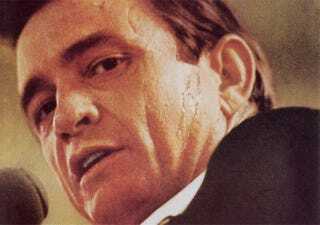 Harmonix is encouraging that kind of behavior with a long list of new additions to its full band music game, including an injection of Johnny Cash. The Man In Black will lead off Rock Band 3's list of downloadable songs with an eight pack of Cash classics charted for the full band. Looks like two of the eight can be upgraded to Pro Bass and Pro Guitar difficulty for a buck. On top of that, Harmonix will throw in a nonet of freebies for Rock Band 3 owners comprised of previously released tracks. The full list of songs coming to your console of choice on January 4 are as follows. Anarchy Club – "Get Clean"
Bang Camaro – "Night Lies"
Breaking Wheel – "Shoulder to the Plow"
Libyans – "Welcome to the Neighborhood"
The Main Drag – "A Jagged Gorgeous Winter"
The Sterns – "Supreme Girl"
That Handsome Devil – "Rob the Prez-O-Dent"